The Christian Democratic Union (CDU) led by German sitting Chancellor Angela Merkel on Sunday defended its dominant role in the Germany’s federal elections with 32.5 per cent of the vote, according to the preliminary exit poll. The figure fell short of expectations and was nine percentage points lower than in the 2013 parliamentary election, Xinhua reported. The Union’s main rival, Germany’s centre-left Social Democratic Party (SPD), led by former European Parliament president Martin Schulz, also suffered a big setback and took just 20 per cent of the vote, which was their worst election result since World War II, said the poll. 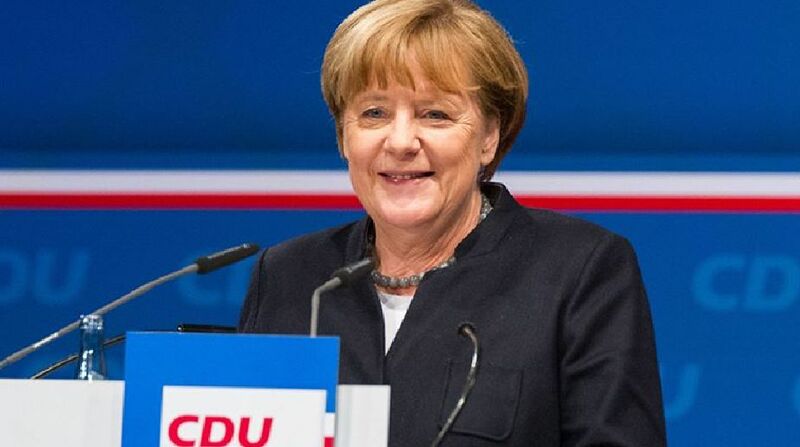 In the last federal election in 2013, Merkel’s conservative CDU party with its sister Bavarian Christian Social Union (CSU) party secured 41.5 per cent of the vote. Though lower than expected, the margin of CDU and CSU will still offer a decent chance for Merkel to claim her fourth term as Chancellor. Senior official of the CDU Volker Kauder said that the party had reached its expectation for the election, and Merkel will remain in office as chancellor and will be granted the mandatory to form the new cabinet. She admitted that her bloc had reached strategic goal in election though she had hoped for better results. She also promised to win back voters of far-right party Alternative fuer Deutschland (AfD) with good policies, vowing to fight against illegal immigrants while protecting interests of legal citizens. For his part, Schulz said the election marked a “historic crash” for the SPD. But Thomas Oppermana, a senior official of the party, said Schulz will continue to be the president of the party despite the “crash” and led the renovation of the party. Schulz said his party had no intention to form a coalition government with the conservative union and “will go to the opposite”. The AfD crossed the five-percent-vote threshold on Sunday and came into the new parliament for the first time with about 13.5 per cent of votes, becoming the third strongest party in the Bundestag. It is also the first far-right populist party in the Bundestag since WWII. “We will hunt Merkel! We want to bring our country and people back,” said Alexander Gauland, one of the two candidates of the AfD in this election who always accuses Merkel’s policies in refugees and euro crisis. “It’s a historical and outstanding result for AfD. We will experience more pluralism in the Bundestag, and we will experience a lively democracy through the AfD,” said AfD’s politician Bjoern Hoecke. Founded in 2013, the eurosceptic and anti-immigration party — which welcomed Brexit, missed the Bundestag with 4.7 percent of votes in the same year. The party gained momentum during the Euro and the refugee crisis. It was polling at around 10 percent before Sunday’s federal election. 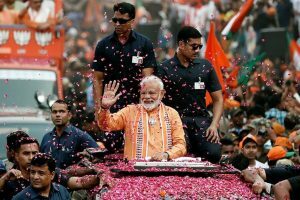 Official statistics showed that Sunday’s turnout of the election stood at 75 per cent, higher than the 71.5 per cent in 2013.